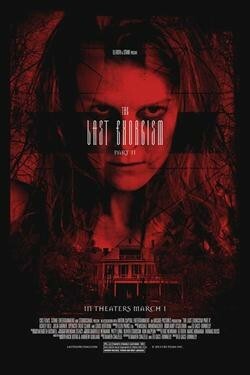 Continuing where the first film left off, Nell Sweetzer (Ashley Bell) is found alone and terrified in the woods. Back in the relative safety of civilization, Nell realizes that she can't remember entire portions of the previous months only that she is the last surviving member of her family. Just as Nell begins the difficult process of starting a new life, the evil force that once possessed her is back with other, unimaginably horrific plans that mean her last exorcism was just the beginning. Just as Nell begins the difficult process of starting a new life, the evil force that once possessed her is back with other, unimaginably horrific plans that mean her last exorcism was just the beginning.